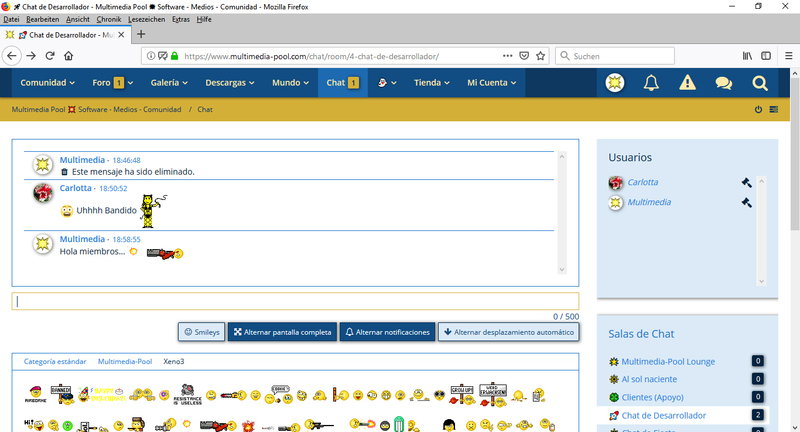 The perfect chat for your community with the feature "create your own temporary room", whisper (personal messages "PM function"), ban, kick, colored usernames, desktop notifications, chat log, clear structure and the automatic takeover of the community designs, or all used designs of the WoltLab Core / Apps. Updates run in sync with Bastelstu.be`s internal updates. The history and development of each language file of the comprehensive translation of the Bastelstu.be Software is deposited with a notary in Potsdam, Berlin-Brandenburg, Germany. Thus, the project is comprehensible in its individual development steps and versions in terms of copyright law. The work spanned over one year and the apps are even installable as a full installer with menus, boxes, pages, cronjobs, package directly in portuguese. This feature allows you to select Portuguese (Português) at the beginning of the installation, both as interface language and content language.